Membermeister makes time consuming tasks like invoicing a breeze. You can send invoices in seconds and track payments like a pro. Isn't it time you eliminate boring paperwork and focus on your business again? Create your terms, tournaments and one-off events. With your membermeister calendar, you and your staff can now easily see what they have coming up for the next week. Impress your customers with stylish invoices. 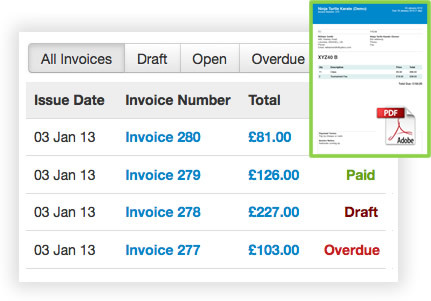 Simply schedule your next term to automatically send out invoices in one go. Prompt for late payment using notifications for all unpaid invoices. 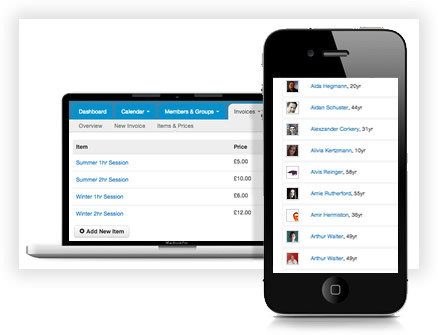 Track payments on site, or even get paid directly online - our favourite time saver! 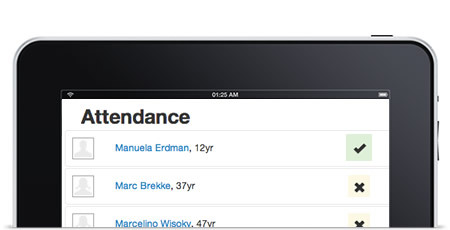 Use our fully mobile responsive site to track attendance easily and reliably, wherever you are. Forget printing out registers and paper roll calls - membermeister provides all the information you need and when you need it. Go one step further and improve your attendance rates by re-engaging with those students who have attended in the past or who have been absent recently. Or even pull up your reports of all attendance since time began. Keep in touch with your members. 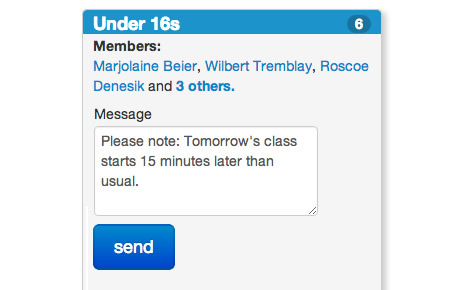 Send messages to an entire group of people with one click. Keep them informed about special offers, promotions or last minute changes using one simple-to-use interface. All your members in one place. 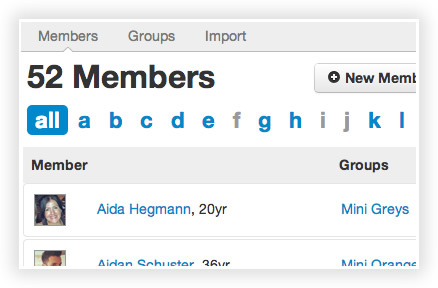 Keep all your contacts in one place with our powerful member database. 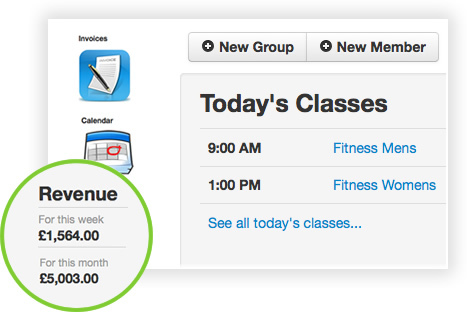 Easily locate any member, see their invoice history, attendance rates, groups and class memberships. Keep a progress log and add custom fields to store and retrieve exactly those pieces of information you access the most. 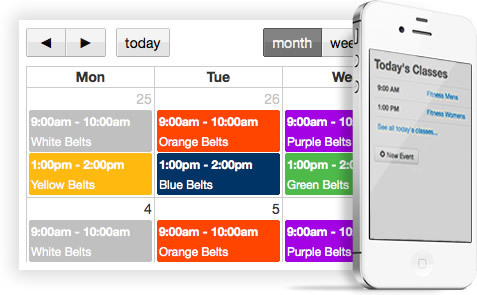 Use our mobile responsive site to view your schedule, update payments, track attendance, message your contacts and more. There is nothing to install, just log in to your account no matter where you are. Access all of your crucial data at any time - it couldn't be any easier. We keep daily backups of all your data. But we don't stop there: we also securely store multiple encrypted copies - you know, just in case the Internet blows up. Our website uses industry-strength SSL encryption to prevent anyone snooping on your passwords or confidential data.